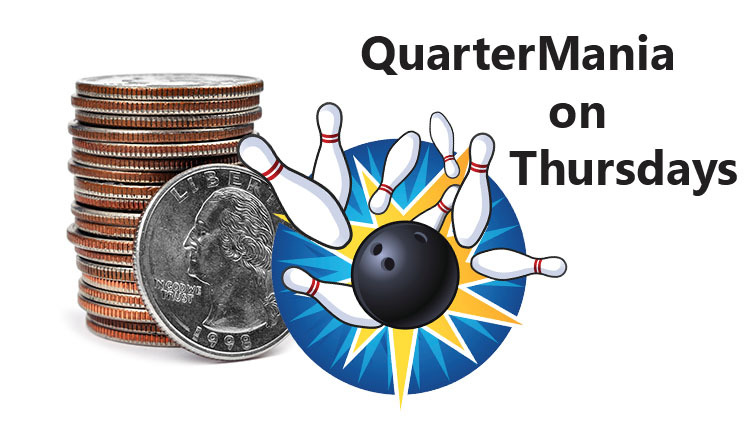 US Army MWR :: View Event :: It's QuarterMania Thursdays at Hooper! Date: Feb 14 2019, 4 p.m. - 10 p.m. This a great deal for friends and Family! Pay a $5 cover charge per person (includes shoes) and each game you bowl will only cost $.25.